Life changes when turning 40, including one’s dating style – and until now there hasn’t been an online dating experience specifically created for single people in their 40s. Launching today, LoveBeginsAt is an exclusive lifestyle and one of the dating websites for mature singles looking to find like-minded people to experience, share and celebrate the best things in life. In order to build a tailored, trusted experience for its unique members, LoveBeginsAt commissioned a survey to better understand the dating habits and expectations of 40+ singles. Key findings from the nationwide Wakefield study concluded that any stigma attached to online dating has lifted and midlife daters are embracing it more honestly and enthusiastically than ever–79 percent of singles 40+ would be quick to say they met their date online. In addition, more than 1 in 3 people surveyed believe they’ll meet their “soul mate” more quickly online than in person, making LoveBeginsAt the perfect place to restart a search for love after 40. Committed to providing enriching, valuable experiences not found elsewhere, LoveBeginsAt launches today with a solid cadre of experts, ready to share their experience and advice about dating, style, etiquette and how to make online dating really work for you. Plus, through a partnership with events planning startup Dishcrawl, members can quickly and easily take online experiences offline into unique, stylish and safe settings. From celebrity chef ‘secret’ pop-up dinners to hands-on cocktail hours, LoveBeginsAt serves up low-stress ways to really connect with other like-minded singles. Next month, the hottest ticket around will be exclusive launch events in New York, San Francisco and Washington D.C. The platform brings together a growing niche network of savvy, experienced and more refined daters through online and offline experiences to become the ultimate resource for relationship-seekers over 40. 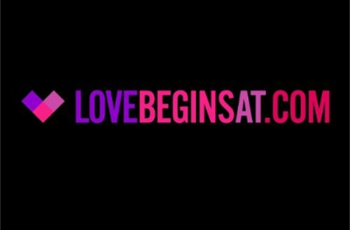 LoveBeginsAt offers anywhere, anytime access for individuals with busy lifestyles and hectic schedules, who are looking for meaningful connections. Download the LoveBeginsAt app in the iTunes Store and Google Play stores today. LoveBeginsAt is a property in the Cupid, PLC network of online dating sites.